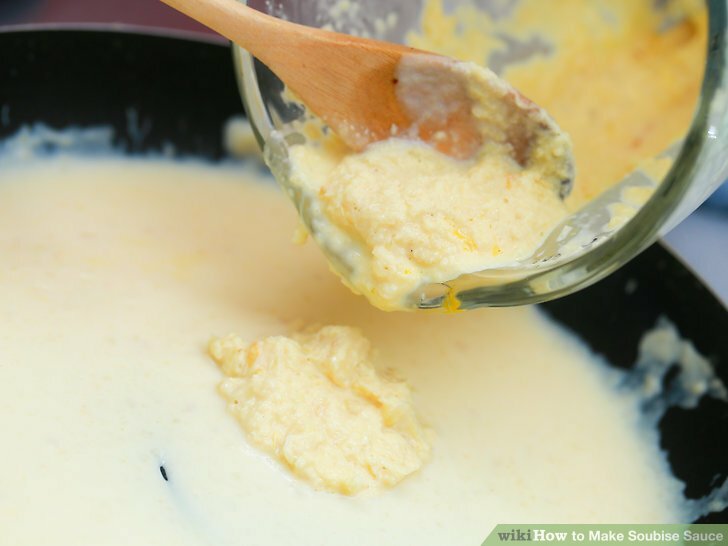 Soubise sauce is a compound French sauce that is made by combining the simple sauce béchamel with pureed onions and heavy cream. The resulting onion sauce is typically served with meat or eggs. 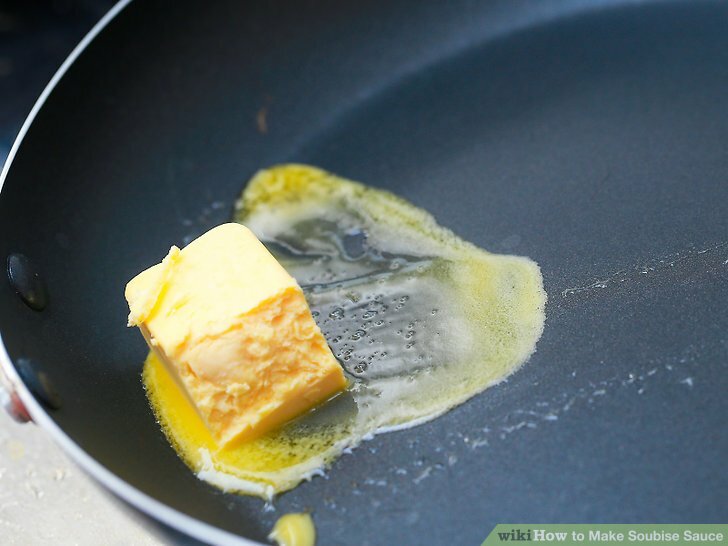 Melt 2 tablespoons (30 ml) of butter in a medium saucepan. 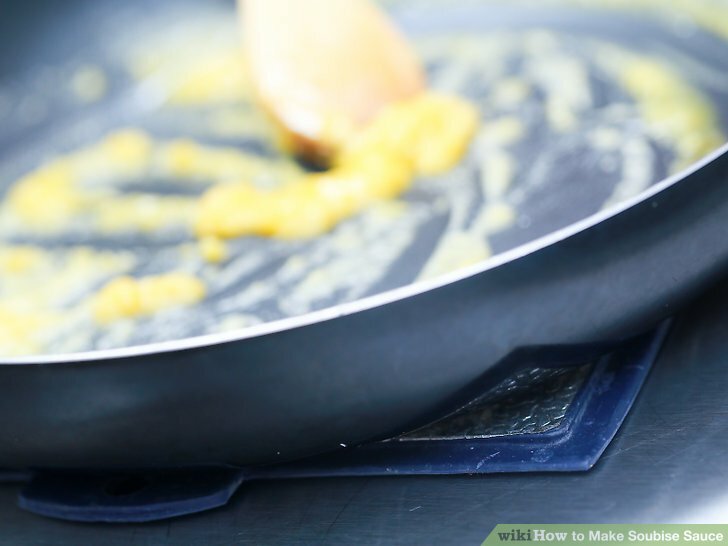 Add 2 tablespoons (30 gm) of flour to the butter to form a roux. This is the first stage of any French sauce. 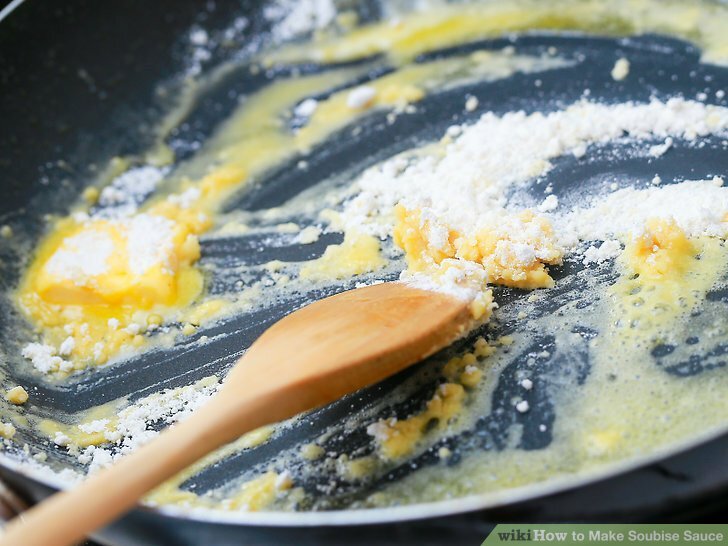 Always keep the ratio of butter to flour equal when making a roux. If you’re making the sauce thicker, use 3 tablespoons (45 ml) of each. 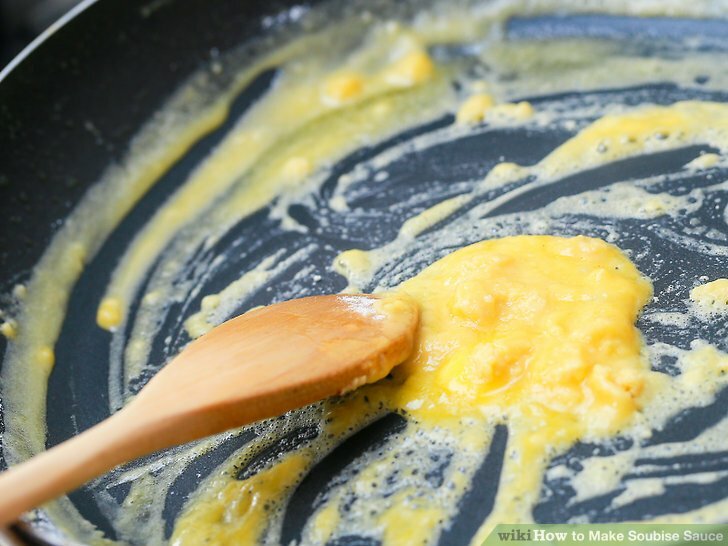 If making the sauce thinner, use 1 tablespoon (15 ml) of each. 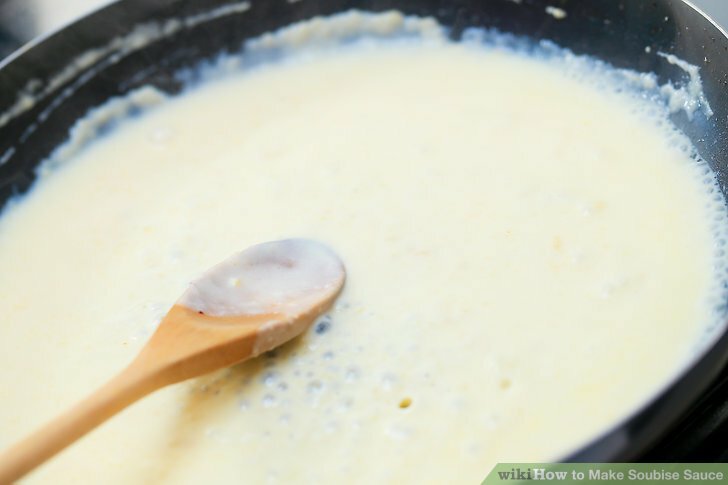 Cook the roux over high heat, stirring constantly until it turns a pale straw color. 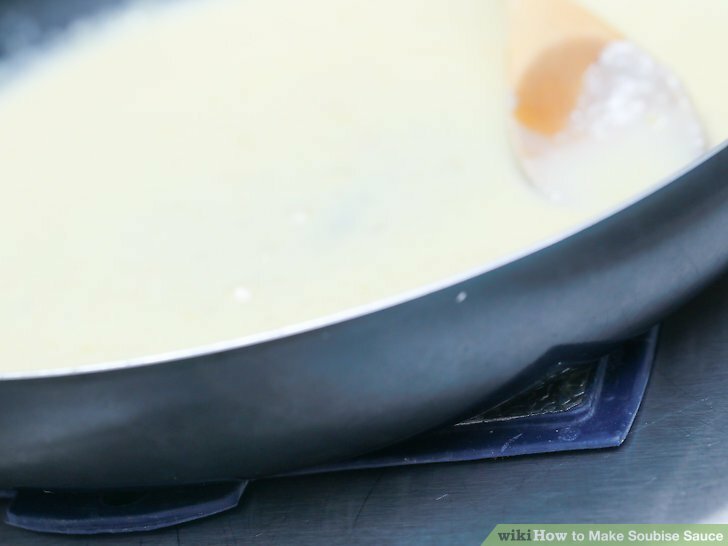 Remove the roux from the heat and let it cool slightly while you warm 1 cup (237 ml) of milk in a separate pan until it’s simmering. 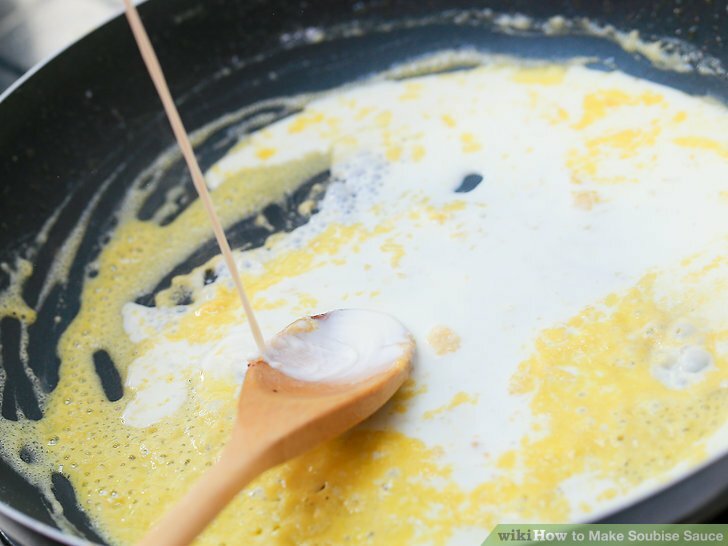 Slowly incorporate the milk into the roux a few tablespoons at a time. Adding the warmed milk slowly helps to thicken the sauce faster. Heat the sauce until it is nearly boiling to thicken it. It should coat the back of a spoon that has been dipped into it when it is finished. Remove the sauce from the heat and let it cool for a few minutes. 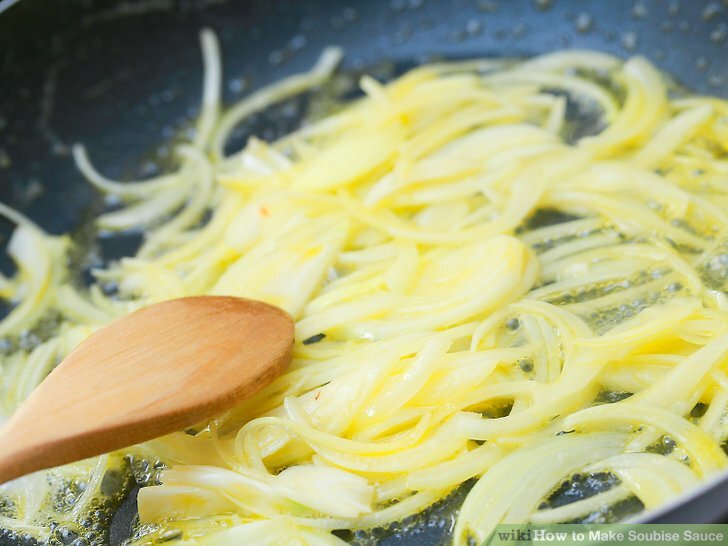 Heat 2 tablespoons (30 ml) of butter in a sauté pan and add the onions to the melted butter. sauté the onions until they are soft and translucent. 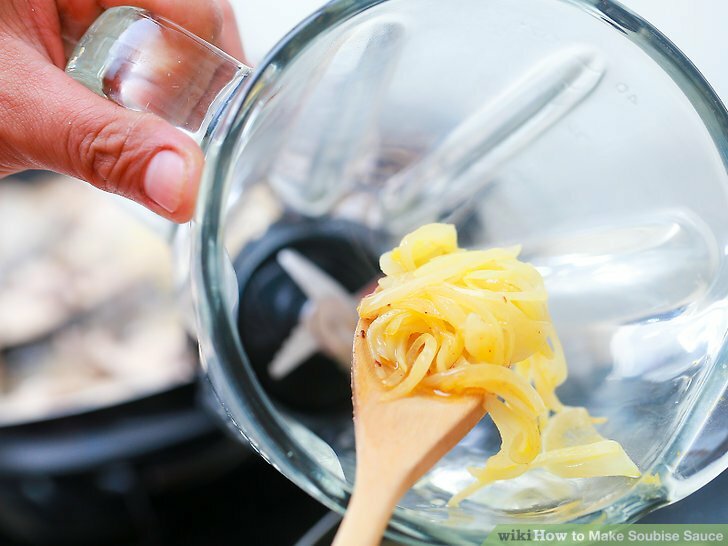 Transfer the onions to a food processor or blender and pulse them until they become smooth and pureed. 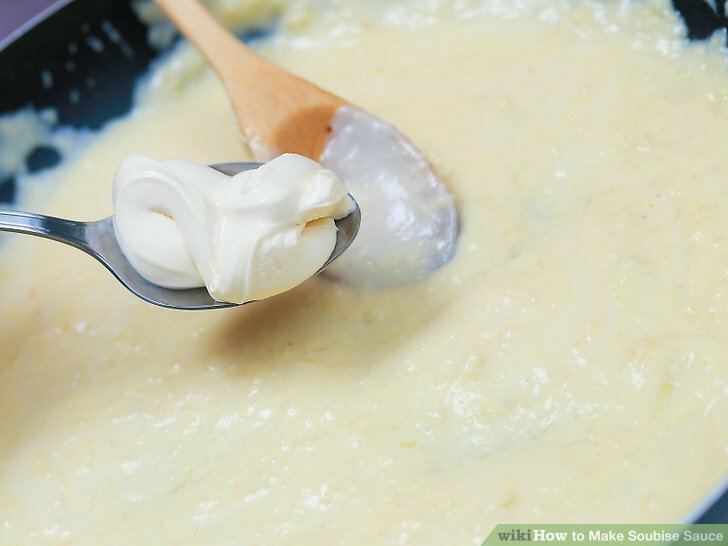 Stir the cooked and pureed onions into the béchamel sauce. 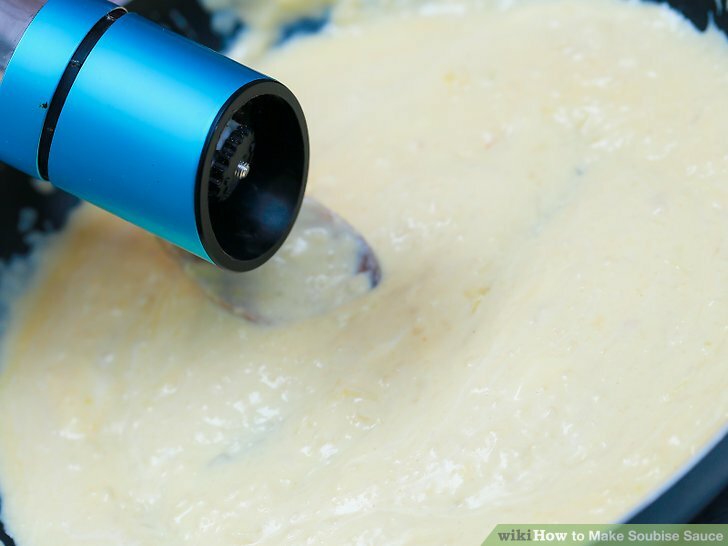 Add 3 tablespoons (45 ml) of heavy cream, 1 tablespoon (15 ml) at a time, to the sauce. Stir well after adding each spoon. Season the finished sauce with salt and pepper as desired and serve on your dish of choice.